As the 15th anniversary of the landmark UN Security Council Resolution 1325 nears on October 31st, the Georgetown Institute for Women, Peace and Security (GIWPS) released a new report highlighting the progress to date using case studies and reflections from global leaders while bringing attention to the challenges and obstacles that remain. Convening women leaders from civil society and government, GIWPS kicked off discussions with keynote reflections from former Secretary of State Madeline Albright on the progress and the view that women’s participation in civil society is understood as important. 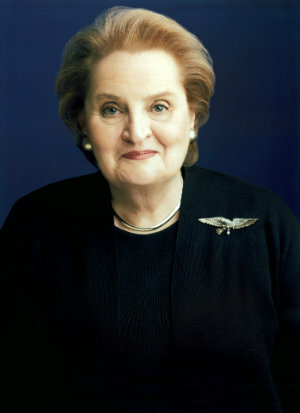 However, as the first woman to hold a Cabinet position in the United States, Albright cautioned that while public attitudes have changed, negotiating tables are far from inclusive. “It is important to have more than one woman in the room,” she said, arguing that to address these obstacles, leaders must demonstrate inclusion by appointing more women as special envoys and securing seats for women at negotiation tables. When women are not invited to peace talks and backroom dealing, there are other ways to call for change. This was the message from women in five different countries that have emerged from conflict. During the brutal years of war in Kosovo, women refused to be silent. They created humanitarian organizations, documented human rights violations, and organized protests to demand peace. 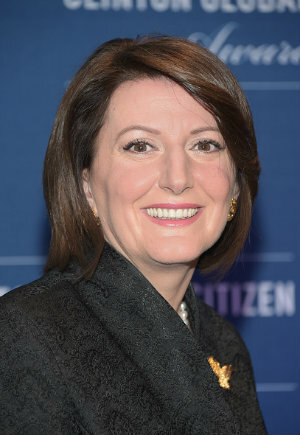 After the conflict, women joined law enforcement and other government efforts to keep the peace, said President Atifete Jahjaga. Kosovar women are just one example of the impact women can have during conflict resolution. Filipino women were instrumental in brokering the peace agreement with the Moro Islamic Liberation Front, the country’s largest rebel group, said Miriam Coronel-Ferrer, the Chairperson of the Government of the Philippines Peace Panel. Women in the Philippines, among them Ferrer, the first female negotiator in the country, took on active roles as negotiators, peace-builders, and mediators to ensure that their voices were included in the agreement that put an end to a decades-long conflict. Claudia Paz y Paz, the Former Attorney General of Guatemala; Monica McWilliams, Professor with the Transitional Justice Institute at the Ulster University in Northern Ireland; and Njeri Kabeberi, the Executive Director at the Center for Multi-Party Democracy Kenya also spoke about the invaluable contributions women have made to peace in their countries. According to Paz y Paz, in Guatemala, women played a key role in justice and peace-building in Guatemala after years of conflict between the government and the Unidad Revolucionaria Nacional Guatemalteca (Guatemalan National Revolution Unit). She argued that the involvement of women from different ethnicities, races, and classes made it possible for peace to be inclusive. By building trans-ethnic and civil society coalitions, women were able to demand justice and accountability and ensure that women’s rights and gender equality would be included in the process of negotiation and peace agreements. The peace process “allowed women in Guatemala to come together and see themselves as a united movement,” said Paz y Paz. In Northern Ireland, where McWilliams was instrumental in the peace process, political parties, including militant groups, had a disproportionate amount of power and influence during negotiations partly because women were not organized. In response, McWilliams and other women joined together to form the Northern Ireland Women’s Coalition (NIWC) to voice women’s demands during negotiations and get a seat around the table. In the face of post-election violence and conflict, Kenyan women brought together many civil society organizations to build a coalition to gain access to and participate in the mediation process. Their participation as a group allowed them to bring focus to human rights violations they were noticing in their communities and strengthen their voice in the process of peacemaking. Like women in Northern Ireland, Kenyan activists such as Kabeberi discovered the importance of creating a unified voice to represent women’s interests in peace-building efforts, however she argued that for activists and leaders to be successful, including women at senior levels of decision-making alone is not the solution. “We need grassroots participation,” said Kabeberi who credited women at the local level for documenting and reporting human rights violations during the conflict and lending credit to civil society voices calling for justice.